tried to have a relaxing day as in a lot of pain. 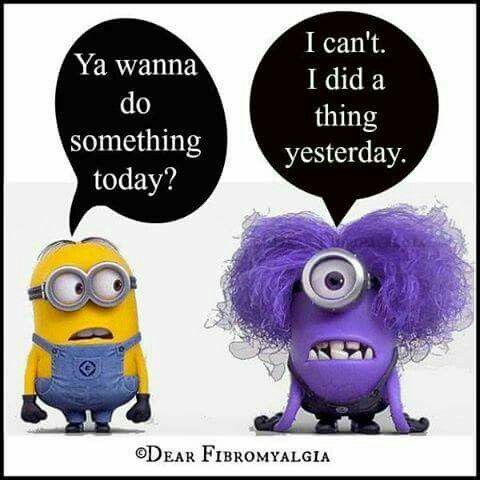 still in a lot of chronic pain. music on now and just chilling. probably should do something and make the most of the day... but do what, exactly. discovered a new group yesterday called bts (and a new type of music, K-POP) which I think is awesome. not much to do today... watch a bit of tv I missed last week (if I can be bothered), and cook something for dinner. yesterday I was listening to someone on blah therapy who had bipolar and she was telling me that no one understands her and she's sick of people judging her. she then asked me what my coping methods were and I told her I like to journal, to listen to music, and to watch cartoons. she goes... you're 25 and you like cartoons? so the fact I'm too old for cartoons is more important than being understood.... okay. personally I will always watch cartoons, no matter what anyone says. Pfrog, you find the best things to post! Thanks. I did too much Saturday. Combine that with the ever changing weather and I'm whipped today. The Wind Is Not Our Friend! I'm having the flare from Hades. I hurt all over, don't have two functional brain cells in my head, am a cranky B and my emotions are all over the place. I saw an otter on the side of the road today. It had been hit by a car. I wanted to bust into tears over it. I'm sick of it. I hate this disorder! On top of all that I post in the abuse forum about life events that have brought all sorts of old shyte to the surface. I was hoping to find some support from other people who've been through the wringer. I got a grand total of NO responses. It just adds to my upset. Once again no one gives a rat's but what happened. Sorry, going to take my cranky self and go away. It takes a lot of energy to just keep smiling through all this pain ... It's a wonder I haven't bitten anyone's head off either ... Especially the guy (mid level supervisor) that suggested I find a way to take my restroom breaks a little quicker at work ... Come on, Dude! ... You know I have a mobility issue (from an injury I received at this job six years ago) and I'm standing before you with cane in hand ... I mean, Really! ... Did you just say that to me? Pfrog, did you think about whacking him about the head and shoulders with your cane? I might have. I hurt. My brain is non-functional. I'm cranky as all get out. I'm exhausted. Plus the cats woke me up at 6:30 rough housing on top of me in bed. I love my fur babies, but would have happily wrung their necks this morning. My only day to sleep in and they wake me up! This time of year we get crazy busy at work. It will stay that way until June. Pfrog, I'm with you. It takes all I've got just to haul myself through the day acting "normal." I'd like to rip someone's head off and shout down the hole.